Every business that’s been around long enough knows how important Black Friday and Cyber Monday are for sales. This goes for both retailers online and offline. With the growth of e-commerce, we’ve witnessed a major growth in sales on both days. For example, in 2017, we saw holiday shoppers spend a whopping $7.9 billion. This is an 18% increase from 2016. And it’s just as lucrative for online sales with nearly $6.6 billion being spent on Cyber Monday in 2017. This was almost a 17% increase from 2016. What do you think we can expect in 2018? 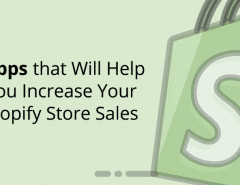 Hopefully, you already set up your sales strategy to boost not only in-store sales, but online sales as well. With popups, you can do this. How? Let’s take a look at several strategies you can use to increase your sales just in time for Black Friday and Cyber Monday. You can expect to generate a lot of new traffic to your site over the holiday season. Why not capitalize on these shoppers by using a popup geared directly towards them? With the right platform, you can target new visitors with unique popups. In this case, it can be a popup offering a discount code they can use once they subscribe to your email list. Then it’s also smart to include social “like” and “follow” buttons in the popup. Consumers are more likely to click social buttons if the offer is great and the brand is trustworthy. Another way is to offer them the option of liking/following or subscribing to your email list in exchange for the coupon. Just make sure the popup has a clear CTA, large enough social buttons, and an irresistible deal. You can use this for both your Black Friday and Cyber Monday deals pages. Remember, holiday shoppers are in a rush so why not help them find what they’re looking for? Since it’s impossible to know exactly what they want, you can use a popup to direct traffic to your sales page. In most cases, that’s exactly what they’re looking for anyway. These users want to find deals quickly before items are sold out. 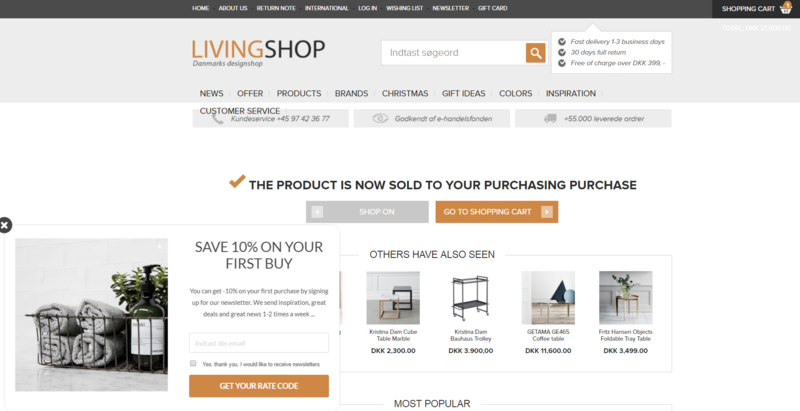 Just make sure the landing page is organized by category so users can easily find what they want. As a rule of thumb, this popup should showcase after a few seconds of landing on the page. This will help minimize bounce rates due to impatient visitors not being able to find your deals. There are many cases where exit-intent popups can come in handy. But for this strategy, we’re honing in on shoppers who abandon their shopping carts. These visitors already shown intent to purchase from your brand and simply allowing them to leave is allowing money to flow down the drain. With exit-intent popups, you can potentially reduce your cart abandonment rates. The key is to have the right triggers set up so it stops users from leaving before checking out. But you don’t want a popup that simply asks them to complete their order. You have to give them the incentive to do so. For instance, you can offer free shipping or a discount that expires in an hour or so. In most cases, shoppers are hesitant to purchase because the prices are a bit high. So offering an opportunity to save even more on your Black Friday or Cyber Monday sale can really help seal the deal. If your site is getting repeat visitors, it’s possible they’re comparing your prices to competitors. This means they’re still considering your items. So to help them make their final purchasing decision, you can offer a deal they can’t resist. Show a popup that offers an even deeper discount on your Black Friday and Cyber Monday deals. You can also offer other incentives, such as free shipping, BOGO, and so on. Set it up so this popup shows to visitors who’ve been to your site within the last 24 hours. This will help target visitors who already started their holiday shopping. Holiday shoppers are looking for all the best deals they can get their hands on. Problem is they can’t be everywhere at once. The fear of missing out is major during this shopping season and you can play on that with upselling and cross-selling. You’ll find this works great for Amazon all-year round. If you can offer your visitors additional related options at a discounted price, then they’re more inclined to buy. An intuitive popup platform is essential to make this work. 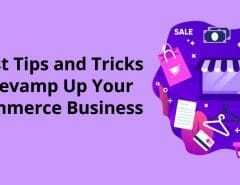 For example, you can create a campaign that shows three to four related items in a popup to visitors based on their search history and shopping cart data. You can do the same with upselling. Use their behavioral and shopping cart data to showcase deals on higher-priced items. This is more compelling if the quality and value are higher as well. Otherwise, folks are going to stick with the cheaper option. What’s great about tabs is that they don’t go away. Even after visitors close your popup, permanent tabs will display at the top or bottom of the screen throughout the site. Make use of this feature to share deals, such as free shipping on orders over $X or an X% off coupon code. It’s also effective to show a timer ticking away to help create a sense of urgency. But don’t use this without the popup – the popup still captures the attention of shoppers. Also, you can make the tab clickable so it takes visitors to your deals page or any other landing page that’ll help convert them into customers. Or you can have the same popup show up when users click the tab, offering to take them to the deals page. Again, creating a sense of urgency is an effective way to convert more leads into sales. You can do this with a popup that has a limited-time offer. But don’t stop there, include a countdown clock. This will help drive more visitors to act quickly. 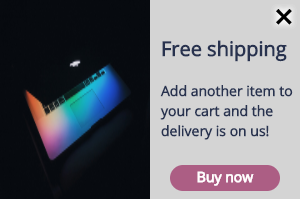 For instance, the popup can say something like “Get $20 off plus free shipping when you complete your order in the next 10:00 minutes. 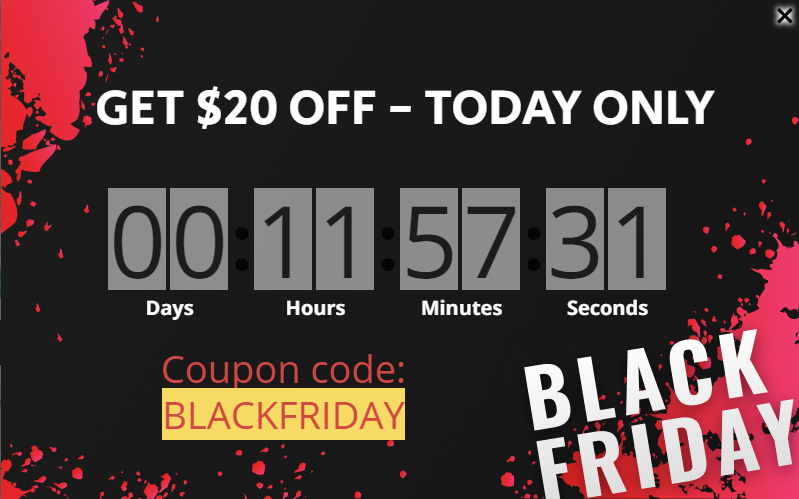 Then include the coupon code beneath the timer that’s clickable (for copy and paste purposes). You can also read Boost Your Sales with Last-Minute Black Friday Marketing Campaigns if you want to get some more ideas before Black Friday and Cyber Monday are here. Another way to reduce your instances of cart abandonment is to use popups that collect email addresses. Rather than simply offering a deal to stay and complete their purchase, you can ask for their email address to send a discount code. Once you have their emails, you can retarget them later in the event they still don’t check out. Be sure to have a strategy in place just for these users. A fast-drip (vs slow-drip) email campaign is vital to get visitors to return and complete their purchase before the sale ends. If you sell popular items that typically sell globally, then it’s important to let users know if you don’t ship to their area. Using cookies, you can identify where a visitor resides. You can then us a popup that shows for items stating that delivery options aren’t available for their area. This can trigger when the item’s added to the visitor’s cart. The visitor can either change the delivery address or remove it from their cart. This will help prevent issues down the line and improve the user experience. You only get one shot each year to maximize sales for Black Friday and Cyber Monday. Don’t let time pass you by without implementing sound strategies to grow your holiday sales. With the above popup ideas, you can ensure you’re able to do just that. If you’re looking for a quality platform to assist with implementing these strategies, then check out Poptin. You can give it a shot using the free account. Let us know in the comments what popup ideas work for your business this coming Black Friday and Cyber Monday!